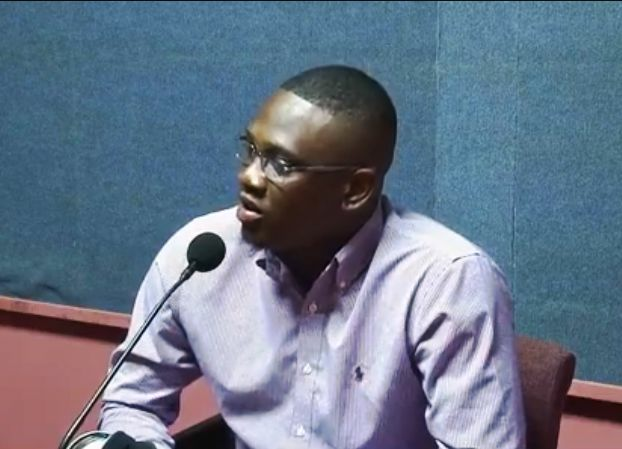 ROAD TOWN, Tortola, VI – Outspoken youth activist, Mr Kevon S. Lettsome, has accused the ousted National Democratic Party (NDP) government of denying him a Scholarship because of his political affiliation. 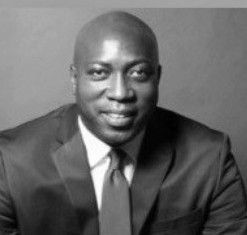 Mr Lettsome made the damning allegation against the Dr D. Orlando Smith Administration, which had under the Education portfolio, the then controversial Minister, Myron V. Walwyn. The young activist dropped the ‘bombshell’ during an appearance on ‘Honestly Speaking with host, Mr Claude O. Skelton Cline on March 26, 2019, last. He was at the time speaking to the need for the newly installed Virgin Islands Party (VIP) government to treat with priority, investing in young people and education. Currently paying out of pocket, in addition to welcomed donations, in pursuit of his Bachelors in Marketing, Mr Lettsome was adamant, he was denied a scholarship because of his political affiliation. The Fullosteam has still not backed down with respect to Mark, and his news blog continues to recite the comments of the Overspend without any mention of whether he has a $350k consultancy from the Govt. They are the two most contraversial people in BVI politics. He too lie. He is not the only person who was denied scholarships. You ain't hear the rest (ndp or vip) who did not get, out there blaming anyone. Everyone who apply will not get through. Why did you not join our club sir? We still have openings so you are not too late. Young boys only with a clean prostate check up. Myron and his Jamaican PS refused to give me a loan against my house or a scholarship to send my daughter to college. People really. Wait Myron is your husband. Go and ask the pickney father for loan and scholarship money to send her to college. The thinks I does read on her is just BS. The Government is not responsible for your life style. I am an NDP supporter and I don't know about this young man's situation but what I can say; There was a bright young man from VG. Top student, very academically inclined. As a matter of fact he is now studying in a top university in the US. He applied to the past administration for a scholarship and was denied. But, on the other hand, because a young lady also from VG was granted a scholarship to study in the UK because she was a member of the "Youth for Walwyn Organization. That is a fact. Some of us are losers before we leave the gate. You are welcome to my heartfelt sympathy regarding your real truth . Many of us ,thought blessed with above marginal intelligence knew/knows that paying for our education was/is a personal responsibility. How come only now you all are speaking out about scholarships, you all sound sicking as young people. all Governments does the same thing back in the 70ths, 80ths in my time they did the same thing, it's not new, only certain children were giving the privilege God bless some of us had family members in the US to help us with green cards so we can get a better education. Mr Clyne for a so call man of God election gone you got what you wanted stop stiring up crap and let us get on with the people business our turn your broadcast into an hour of prayer for our country. For starters,you need to have a sit down with real friends..
Hope he is taking an English course as well. I really believe now that Claude Skelton Cline has backslidden to almost the point of no return. Why do I say that? Well, February 25th would have been the day that the VIP won the 2019 Elections, not so? Mr. Skelton Cline had a specific job during the election season and that was to go negative against NDP all day and all night long. Find their weak points and pound, pound all day. Now I understand that the goal was to win the election then, but what is his goal now pray tell? Do we have to listen to him campaign for these entire 4 years to next election season? This young man said clearly that he got money from several Government representatives and he was able to finance his education to the point of graduation in a few months. Why is he on the radio fussing about a scholarship that he didn't get? There is no guarantee that when you apply for a scholarship you will get it. In fact it is very difficult to receive a scholarship all over the world. Does that mean you are being victimized by the Government of the day? You were lucky to be able to afford your education with a little help so you didn't need the doggone scholarship. Listen Mr. Cline and Mr. Lettsome, give me a cotton picking break and let me have a read of my local news and a listen of my local station without listening to nonsense. Election is over. I am sick and tired of hearing negative. It seems that, you, Man of God cannot find anything positive to speak about so shut up! Shut up! Shut up! Tired! Kedrick was ndp for 19 years 11 months and this guy was a supporter of his 2 out of 3 election including the last one just concluded. His story isn’t straight. Isn't he one of the Speaker's bestfriends? Playing politics as usual. Last time I checked there was an application process where applicant's are NOT GUARANTEED a scholarship. There is a board that reviews the applications and only a set number of scholarships are issued every year. This has always been the case, so I don't know why the young fellow don't stop being political. Good thing is that he can afford to pay for it himself like he is doing, so at the end of it all he can work wherever he wants to once he graduates. Get over it and move on Mr. Lettsome!!! He will broke yiur heart in a few yeats to come? Lol, lol, lol! We have oodles of people studying Business Administration and Marketing and then they will complain when they can't find jobs. We need to prioritise areas for scholarships. What are the keys areas to develop the country? Award (not give) scholarships in those areas first and then in other areas of study as money is available. Lolol. Boy you are not the brightest crayon in the bunch. You couldn’t finish HLSCC... graduate from High School with a Grade 3 Certificate. ...... not even that. If you’re so bold to be against NDP. Why you want their scholarship for???? What he has been robbed of is decency self respect and a sense of personal responsibility. Our young men are for the most part empty shells..no substance no moral fortitude and so he laments his loss of a handout which in fact was a gift of self reliance.Pathetic. That’s unfortunate if he was in fact discriminated against for the reason he claims. Party politics is a very ugly monster. However as it pertains to his plea for the VIP to invest in young people and education; I have to say that I have mixed feelings. The government has funded (or helped to fund) the education of countless persons, who have decided to satisfy their own interests and ignore their obligations to this territory. Before the government dishes out ANY more scholarships I feel there needs to be reform that bridges the gap between education earned and education being brought back to the territory. We need actual checks and balances that not only hold students and their signatories accountable, but that also provides incentive to return. I won’t sit here and act like I don’t know why they don’t come home. All those issues must be fixed if the scholarship program is going to continue.